Give Me Liberty or Give me Death! The famous words of Patrick Henry at the Virginia Convention which lead to the Revolutionary War. 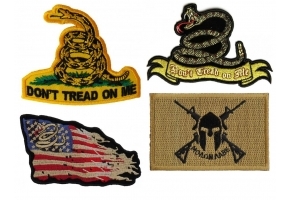 The patch is embroidered with the Don't Tread on Me Gadsden Snake. 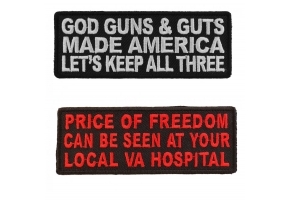 A patriotic patch for all Free Americans who will take death over enslavement. Before the Revolutionary War, America's forefathers gathered at the now famous Virginia Convention to discuss their options. It was during this convention that the famous remark, 'Give me Liberty or Give me Death', was uttered by Patrick Henry. Since then, it has become an infamous saying for all Americans when they feel their freedom being threatened. 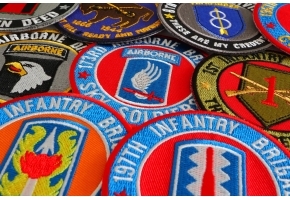 This Give Me Liberty Or Death Patch is one that represents that feeling for all of Americans, and it's what every veteran felt when they signed up to be a member of the service. 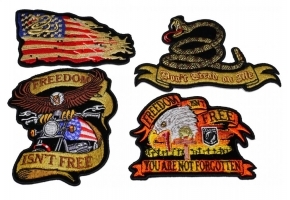 This US Veteran Patch measures 3.5 by 3.25 inches, and it features an embroidered image of the infamous Don't Tread on Me Gadsden snake. The snake is yellow with alternating brown and black triangles. Its body is tightened into three different coils, with its rattlesnake tail protruding from one end and the open snake mouth from the top of the coils. 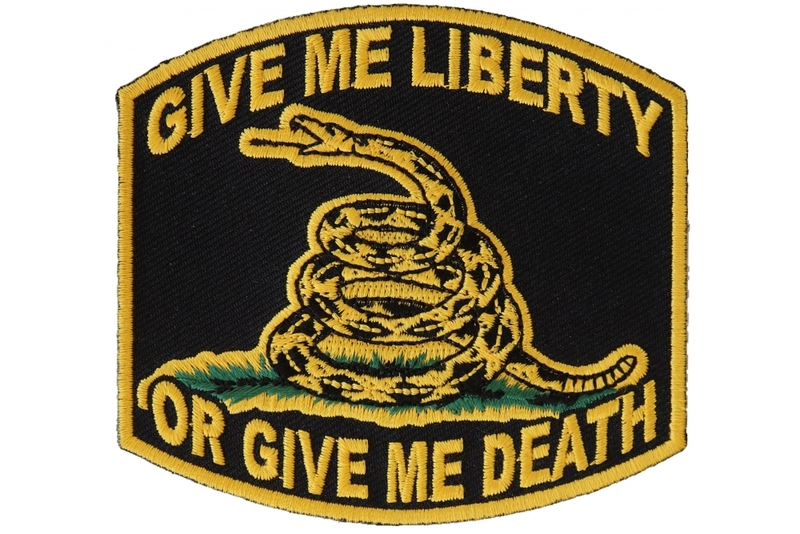 The background of the twill patch is black, and it has yellow embroidered edges with bright yellow wording above the snake that says 'GIVE ME LIBERTY', The other half of the saying, 'OR GIVE ME DEATH', is underneath the snake. 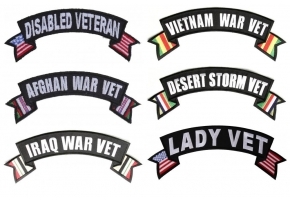 This patch is the perfect present for veterans or for those patriotic individuals who want to show everyone how much their freedom and their country mean to them. It can easily be displayed on anything ranging from hats and jeans to jackets and vests. It is coated with an adhesive that can be activated by the heat in an iron. Remember, if you are putting this patch on something leather then you don't want to use this adhesive. Instead, stitch the patch on around the edges. 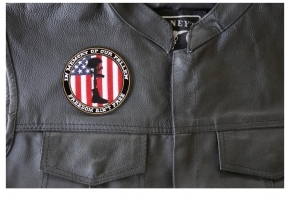 Not only is this better for the leather, which may be damaged by the heat, but it also means the patch is not permanently attached.